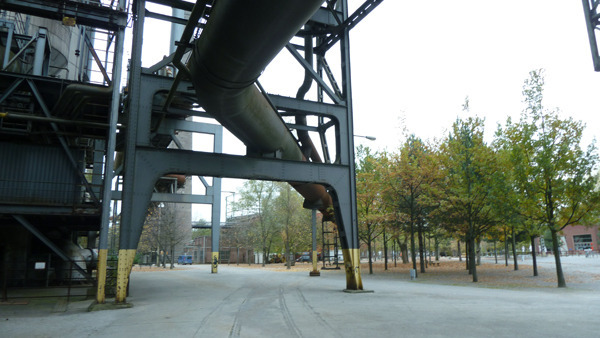 Famous before completion, Duisburg Nord Landscape Park (Latz+Partner, design 1990) is a stunningly successful example of the repurposing of an industrial site into a multi-functional landscape. 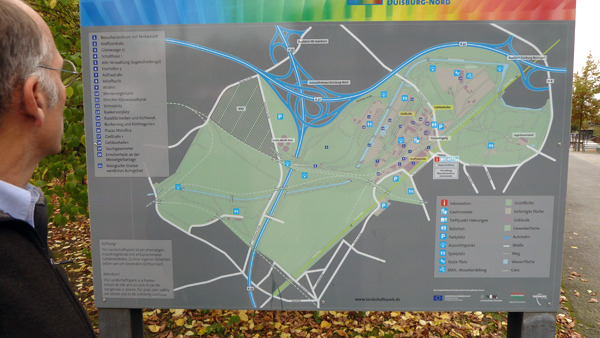 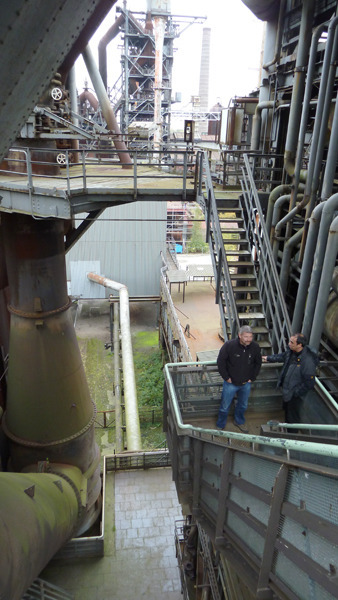 We had a chance to tour the park between attending the IENE conference and Glasstec. 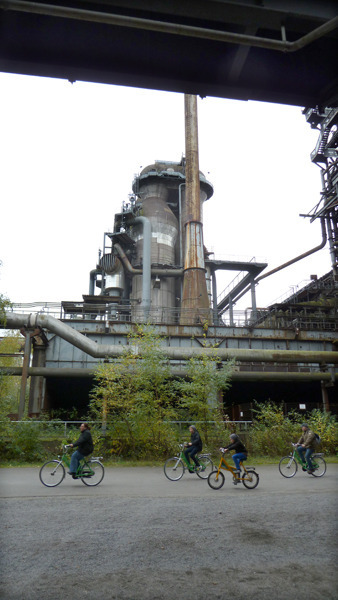 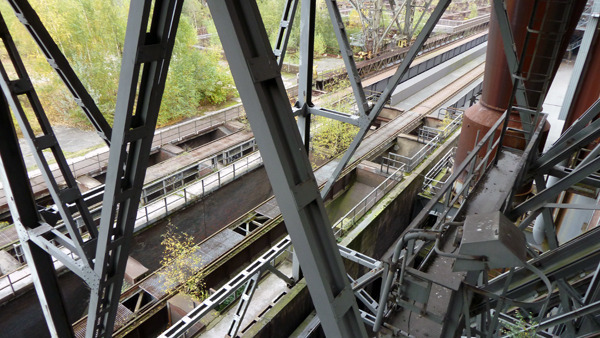 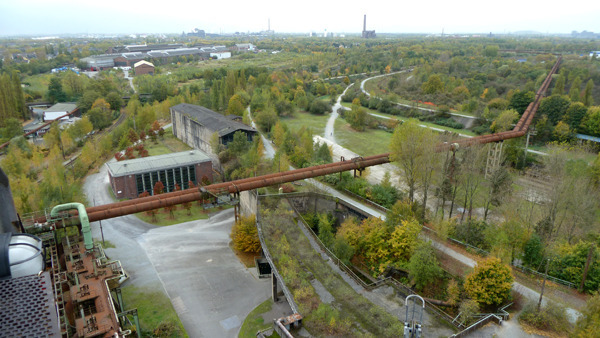 Formerly an ironworks plant in the Ruhr area of Germany, the site became a shining example of how a polluted industrial site, or “brownfield,” can become home to new human use and ecological opportunities. 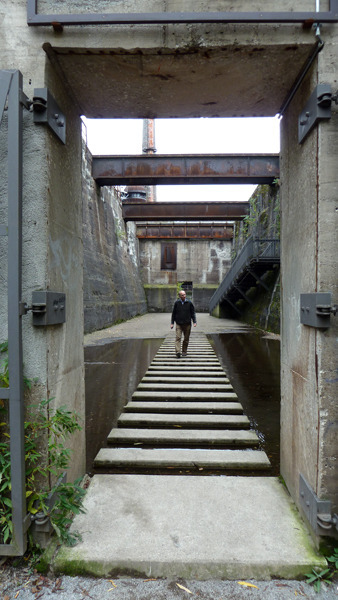 Once-rare examples like Seattle’s Gassworks Park (1975), projects to remediate and repurpose brownfield sites are now too numerous to count. 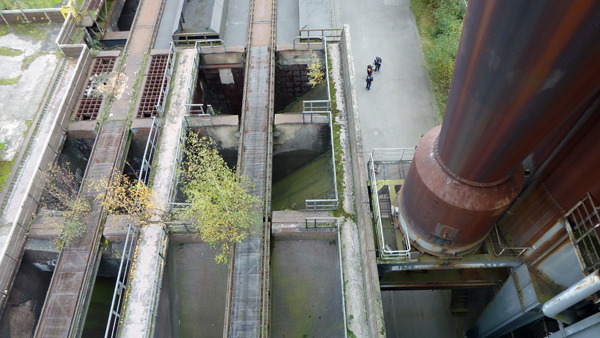 This shifting of use marks how the location and scale of our industrial processes transform, and who performs the “work” of our current industrial era. 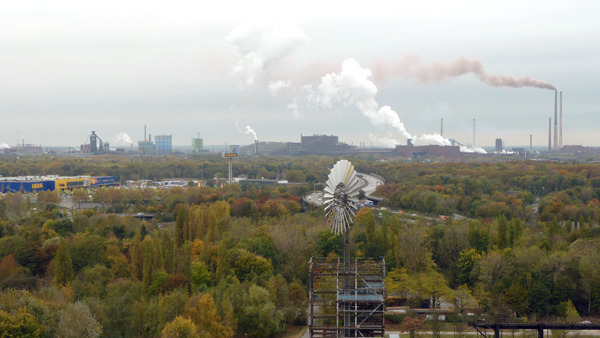 Duisburg Nord is still surrounded by active industry, but is also adjacent to freeway and retail expansion. 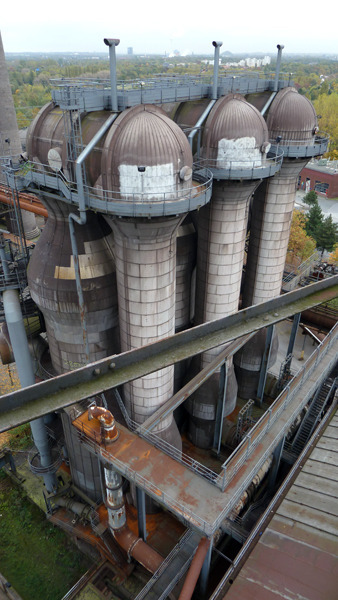 Minnesota is no stranger to changing industrial markets and scales. 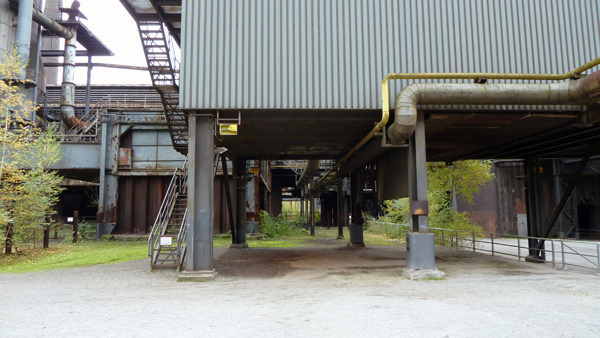 From the fur trade to white pine to iron and other minerals to wheat and corn, the landscape and culture have continually re-formed to fit viable and profitable modes of extraction and production. 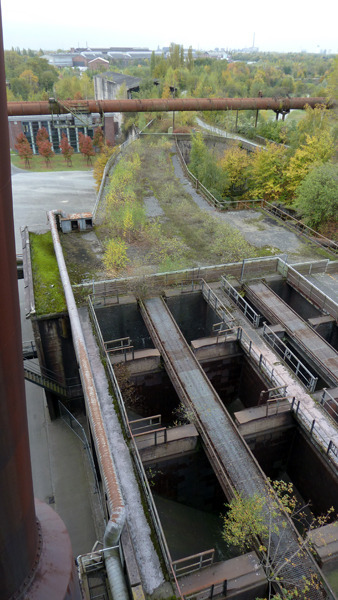 How, what and where we procure and produce things will continue to evolve. 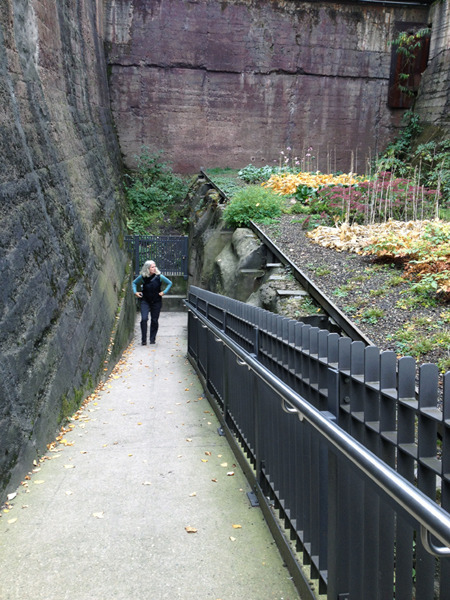 Each change signals an opportunity to adjust and refocus our cultural intentions.